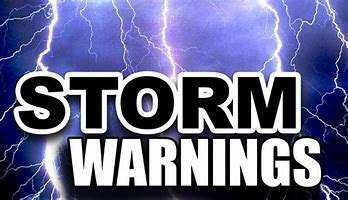 Spring "Super Cell" Thunderstorm Season. Be Prepared. Please Allow 3 to 4 Days For Your Kit To Ship. If Your Well Is The Only Source Of Water For Your Family, It Would Be Wise To Have A Hand Pump Stored In Your Garage And Ready To Install. Better To Have A Kit Ready...Than Not. Order Your Kit Today & Store It. Our Kits Can Be Installed In About An Hour. For An Emergency Well Hand Pump. 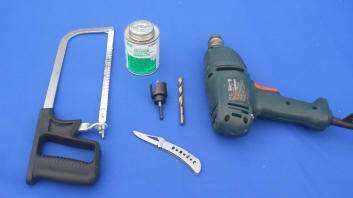 Please Note: This Is NOT A Well DRILLING Kit...Our Kit Is For EXISTING Wells. 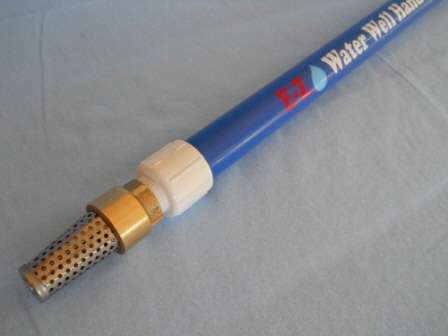 � Our 1" Ultra Slim Water Well Hand Pump Is Smallest In Diameter. Unlike The Larger And Heavier 1-1/4" Outer Casing Pipe Used With Other Hand Pumps On The Market, Our Smaller 1" Ultra Slim Well Hand Pump Fits Easily Into 99% Of Wells, (2", 4", & 6") Without Getting Hung Up In Your Well During Installation. � Pumps 3 to 5 Gallons Per Minute...Compared To Only 1 GPM For Those New Soft Plastic Flexible Coil Hose Pumps advertised on the market, what I call (Squirt Pumps). PLUS, Our Hand Pump Won't Degrade or Crack In A Few Years. � Extremely Light Weight, Example: A Heavy 1-1/4" 150 ft. Pump Weighs Over 100 lbs, Compared To Our 1" Ultra Slim Well Hand Pump Weighing Only 35 lbs. Compared To 3 To 4 People Needed With The Heavier 1-1/4" Hand Pumps On The Market. � Easy To Remove Hand Pump If You Relocate. � Totally Maintenance Free: No Leather Or Rubber Seals To Ever Change. 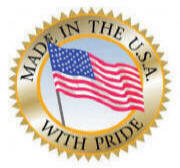 � EZ Well Hand Pumps Are Tough & Dependable. � What If I Don't Want To Install Right Away? That's Okay. In fact, a vast majority of our customers (Over 75%) don't install their EZ well hand pump right away and simply store everything for an emergency. In these troubling times it's better to have a kit on hand than not. and detailed description of what to do from start to finish. � Great Phone Support - 6 Days A Week, 9 am to 5 pm Central Time. NOTE: If Your Well Static Water Level In Your Well Pipe Is 125' Deep Or Less, My Powerful Well Hand Pump System Is The Perfect Affordable Solution. Total Well Depth Is NOT Important. HOW IT WORKS...How Our Kits Save You Money. � We Supply: Our Fully Assembled High Pressure Pump Piston, All The Fittings For Your Hand Pump And The Detachable Security Pump Handle And Fittings. 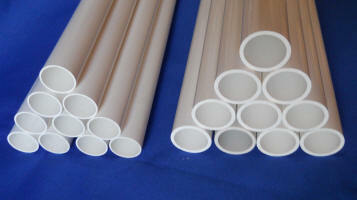 � You Supply: Your PVC Pipe From Home Depot Or Lowes For Just Pennies A Foot. You Save Very High Shipping Costs By Buying Your Pipe Locally. PLUS, You Save On Our Labor/Shop Time Stocking, Cutting, Packaging & Shipping The Pipe. We've Streamlined Everything To Save You Several Hundred Dollars On An Emergency Well Hand Pump. This kind of savings is certainly worth a quick trip to Lowes or Home Depot. � Important: Our Custom Check Valve Produces 3 to 4 Times More Water) Than Most Other Emergency Hand Pumps On The Market. Some, Like Those New Soft Plastic Flexible Coil Hose Pumps advertised on the market, what I call (Squirt Pumps) barely put out any water at all...ONLY 1 Gallon Per Minute Compared To Our 3 To 5 GPM. They are adequate for drinking water ONLY, but that wouldn't be enough water for your family in a long term emergency power outage. I Know From Personal Experience - You'll Need More Water Than That Everyday. You'll Need More Water Than You Realize. 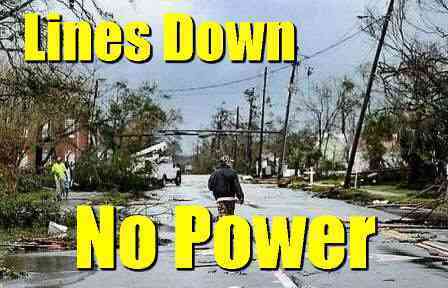 You'll need to cook, wash dishes, wash clothes, bathe the kids, water the garden etc...In Addition To Drinking Water. You Get The Idea. For Security & Discreet Pump Concealment From Prying Eyes. Your Security Well Pump Handle Is Included With Your Kit. Our New Smaller Diameter Hand Pump Kits Require Smaller Outer Casing Pipe That Will Cost You Less Than The Heavier 1 1/4" Schedule 40 PVC Pipe Commonly Used With Other Hand Pump Kits On The Market. This Makes A Huge Difference In Your Total Hand Pump Cost. The Smaller 1" Pipe Below Is Much Lighter, Easier To Install... And Cheaper. It's light as a feather. Our 150' Hand Pump Weighs Only 35 lbs, Compared To Over 100 lbs With Other Heavier 1 1/4" Well Hand Pump Kits. Here Are The Only Tools You'll Need - THAT'S IT!! This is my E-Z Water Deep Well Hand Pump that I designed and built after Hurricane Rita in 2006 and it's still going strong after all this time. Our Hand Well Pump Piston Is Totally MAINTENANCE FREE - NO Leather Or Rubber Piston Cup Seals To Wear Out Or Rot. 100% FREEZE PROOF. 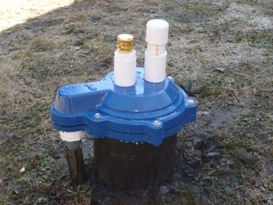 Our E-Z Well Hand Pump Piston has a Ultra slim profile of 1 5/8" at the connecting couplers (you will need only 1 5/8" clearance from ground level down to water) and it uses only 1" pipe that goes into your well, with a 1/2" Pumping pipe. It's a pipe within a pipe system. The Pump Cylinder is approximately 3' long and can fit easily into a 2" well casing as a stand alone hand pump, or into most 4" or 6" well casings along with your existing submersible pump. The E-Z Pump System will pump around 3 to 5 gallons per minute at a moderate pumping rate. This will depend on your pumping speed. The Piston Is The Most IMPORTANT Part Of Any Hand Pump. Ours has state of the art design with no leather OR rubber seals to wear out or rot in just a few years. Our Pump Piston gives you a lifetime of reliable and maintenance free service. Drop it in your deep well and forget about it until you need it...even 20 years from now. It Is Designed For Maximum Flow Up To The Pump Handle Outlet, Which Means MUCH EASIER Pumping And More Water Per Stroke. Plus It's Totally Maintenance Free! Th e Foot Valve is Solid Brass with a solid brass poppet and heavy duty neoprene 'O' ring as the seal and a stainless steel strainer. 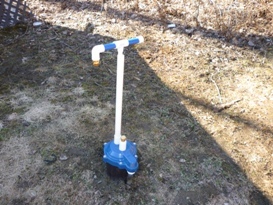 Emergency Water Well Hand Pump. 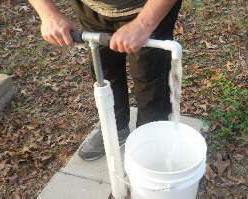 Hand Pump For Water Well , DIY Kits. 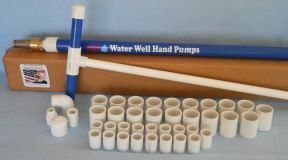 Hand well pump, Emergency DIY Hand Pump KITS For Water Well. home well, for emergency, deep, manual , diy , shallow , pvc , t handle deep, pumps water well, hand pump drinking water filters and hand, well pump.